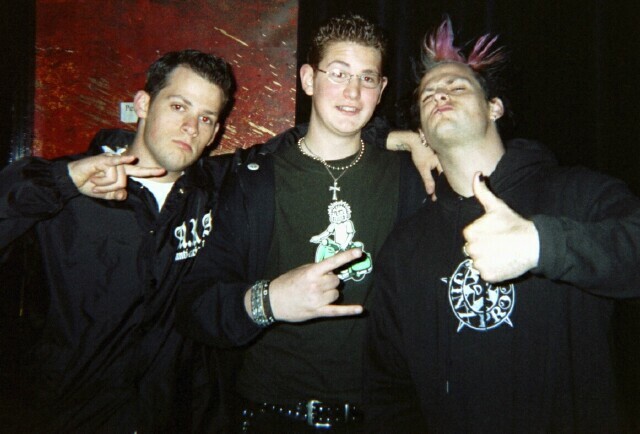 I've decided to write about a band that has touched me in a deep way...Despite the edgy side the band has shown in the past, Good Charlotte's roots are Christian, and they are not shy to talk about it. Last night I saw Good Charlotte (GC) live in Montreal for the third time ...I saw them almost 2 years ago when they opened for MxPx and no one knew who they were. I had the privilege of meeting & speaking with the two brothers. Another time I saw them was at the Vans Warped tour this summer when they played the main stage. And of course last night when they went head-to-head with New Found Glory. It is safe to say that Good Charlotte has come a long way in two years. For those of you who don't know the story behind Good Charlotte, it is one of faith, struggle, dreams and perseverance. Good Charlotte is a band who's lyrics with powerful messages have great influence on today's teens. Even though they are not a "Christian" band, Joel & Benji both profess to be born again believers in Christ. Their songs are filled with positive messages with roots that come straight from the Holy Book...For example off their first album the song "Motivation Proclamation" is a prayer for motivation & guidance in thier life...Many GC songs deal with faith & following your dreams no matter what people may say to you. Even when people say you're "Young & Hopeless" and that you can't make a difference, you must press on, follow your dreams, goals, and God's plans for your life. The most recent album by Good Charlotte deals with topics like not following the crowd, unconditional love and forgiveness...There is one track on "The Young & the Hopeless" that I like specifically called "Emotionless". Despite all the terrible things their father has done in the past, they forgive him, and still love him unconditionally. 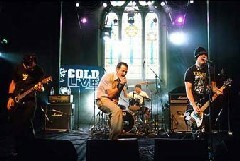 Another song on the album "Hold On" deals with the problem of teenage s.uicide. The song talks about how everyone goes through hard times, but to hold on, that life gets better, and that someone out there loves you. At the show, Benji dedicated the song to any kid in the audience who felt that way...They may have saved many lives with their caring, comforting words. So, Don't listen to all the crap people say about Good Charlotte...People will try to say things like, "They're too poppy" or "They're sell-outs," and this is what always happens when people step out with courage to do something great...and if they only they knew what these boys had to go through to get where they are. Two years ago in the song "Waldorf Worldwide" the sang "We'll see you all when we get there, on the video, on the radio, in the magazines, on the movie screens"......Talk about the power of the spoken word. I must say that I really enjoyed the Slick Shoes show last night at Cafe L'Inconditionnel, I congradulate "Last Night Productions" on doing such a great job of promoting and organizing the event. 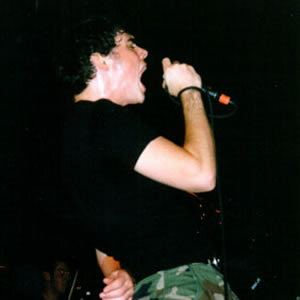 was high energy, lots of action, and packed with the Christian pop-punk rock anthems that when I heard, just melted my heart...As a musician Slick Shoes has influenced me a great deal. From the moment I picked up "Wake Up Screaming" at HMV years ago as a teeny bopper, they have been one of my favorite bands ever since. The band was really humble, and shared alot of interaction with the crowd, and just made everyone feel good. They really....rocked. As for the opening bands, I really enjoyed "The Clever Club". It was refreshing to see a lead g.irl singer in a punk band, I hope we see more and more of it. "Full Count" had a really great set, and I was impressed to hear that they would be opening for the "Civic Tour" This Wednesday. "AOK", they were ok, a little funny, the "Blink-182" influence is pretty obvious...and if you wanna win fans, wearing an "Anti-Bush" t-shirt is not gonna go down too well at a Christian concert. In all, the show was alot of fun, and Slick Shoes really brought a sense of class to the stage. I would strongly recomend going to see Slick Shoes if you ever have the chance, and if you haven't picked up any of thier CD's...Go get one! I strongly recomend "Wake Up Screaming" or their most recent self-titled album. If you have a ggod review of a recent show, band, or album you've heard...send it on it, if it's good, we'll post it!